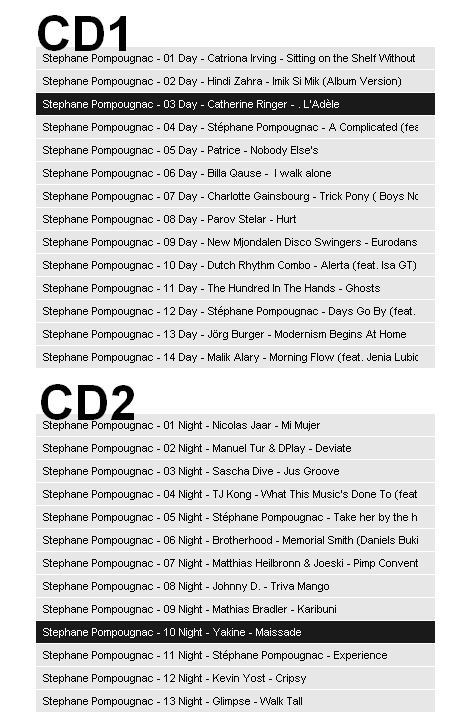 One of my favourite DJ's, the creator of the Hôtel Costes saga, Stéphane Pompougnac presents his brand new compilation NIGHT & DAY, a 2 CD set featuring music from Kevin Yost, Sascha Dive, Yakine, Glimpse, Parov Stelar and more. Stéphane Pompougnac is a French house DJ, musician, composer and producer, and as I said before,the official compilator for the Hôtel Costes series, famous albums that have became through the years, a reference of style in downtempo and lounge music, selling about 5 million albums worlwide. Coming up on April 18.